One of the main reasons we get dry skin in the winter is because of our heaters! They can strip the skin of their natural moisture and can even dehydrate your skin. And if your heaters are on all night, it goes without saying the amount of damage that can be done overnight in your sleep. This explains why sometimes you find yourself waking up with a dry throat and dry, tight skin. Try wearing warm socks, piling up on the blankets and wearing warm pajamas to keep you warm at night and minimize the amount of time you need to leave heaters on. In the summer it’s a lot easier to remember to drink water, you’re hot, sweating and dying for a cool glass of water half the time. In the winter, we tend to forget that we still need to hydrate our bodies. A good tip to help you keep up with your water intake is to have a bottle of water with you all the time. It’s easier to remember to drink water when you have easy access to it! Since the air is so dry in the winter, largely due to heaters inside the home and office, a humidifier can greatly help add moisture to the air and make the air much more pleasant to breathe. Having a humidifier can also make the air much less harsh on your skin since the air won’t be as overwhelmingly dry. Moisturizing your skin during the winter is a no-brainer. With the dry weather and air it’s important to make sure to continuously give your skin the care and hydration it needs. 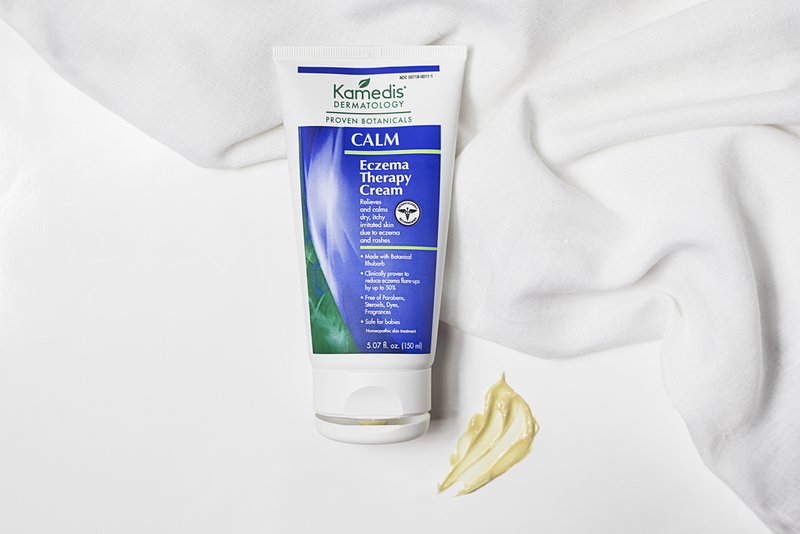 Kamedis’ Eczema Therapy Cream is a rich (yet lightweight) lotion that instantly absorbs into the skin to nourish and protect against the dry air. What’s great about moisturizing is that you can do it all the time! In the morning, after showers, before going to bed; and you can immediately relieve the dry, tight symptoms of the skin.